As the very wise Judy Coates Perez wrote in a recent FaceBook post, make mistakes, make lots of mistakes! (In connection with a very interesting article about how failure helps creativity…). Well, I have certainly followed this rule ;)…and had a particularly unfortunate attempt at a self-portrait last year. (Nope I’m not posting THAT picture.). The more stitching I did, the worse it got, so I gave up and took it off the long arm. 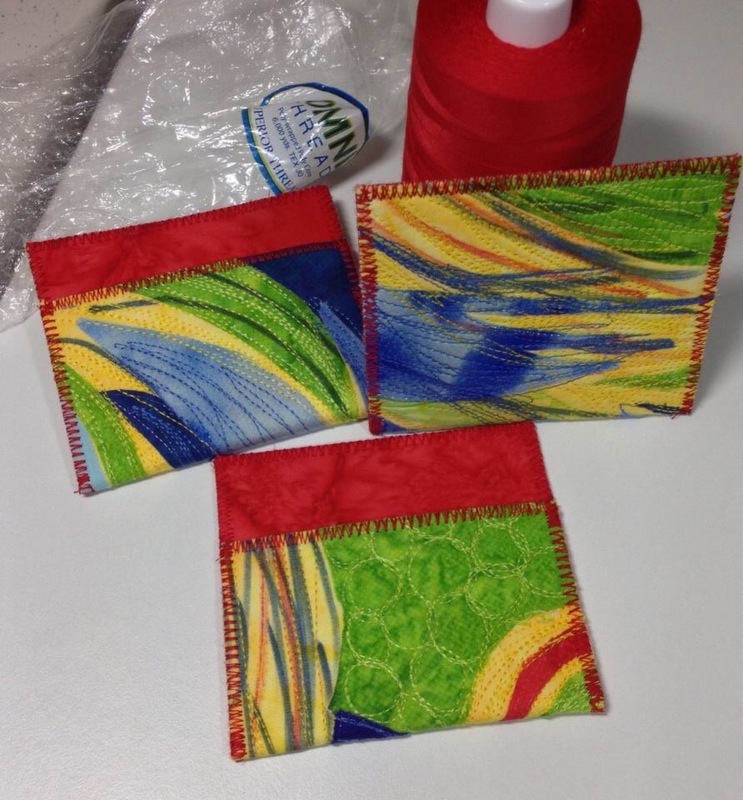 BUT…I loved the colors…and decided I could chop bits of it out to make mini-wallets. Carefully harvesting as many 4 1/2″ by 6 1/2″ pieces as I could, I fused them to pieces of stuff fusible, backed them with a coordinating solid, folded them and stitched around the edges. Snatching usefulness from the jaws of defeat! Tomorrow evening begins the Festival of Lights…so we’ll discuss a very fun way to make Hanukkah cards. This entry was posted in Uncategorized on December 5, 2015 by neonkittyquilts.